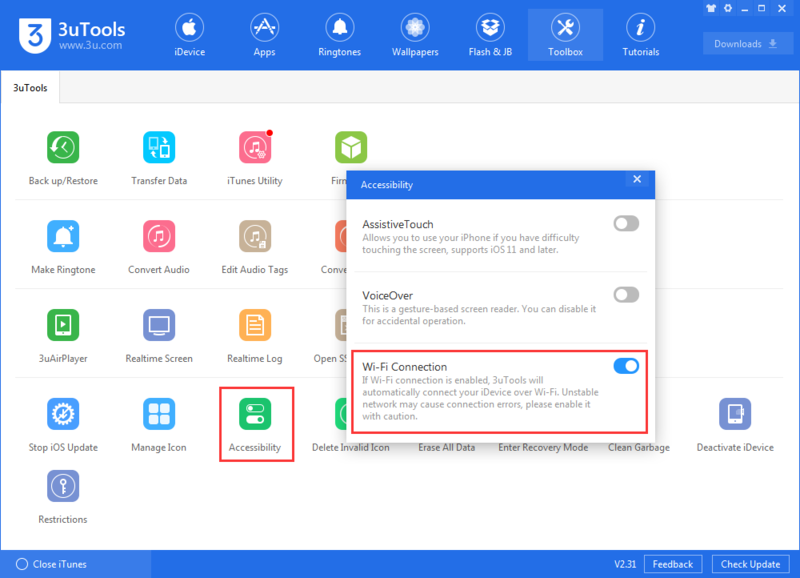 tutorial|3uTools Frequently Prompts “Connection Timeout”? 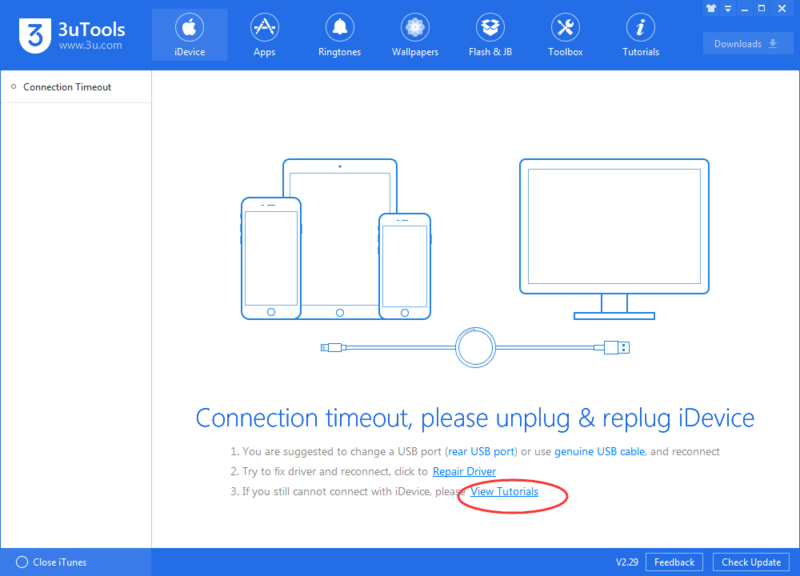 3uTools Frequently Prompts “Connection Timeout”? 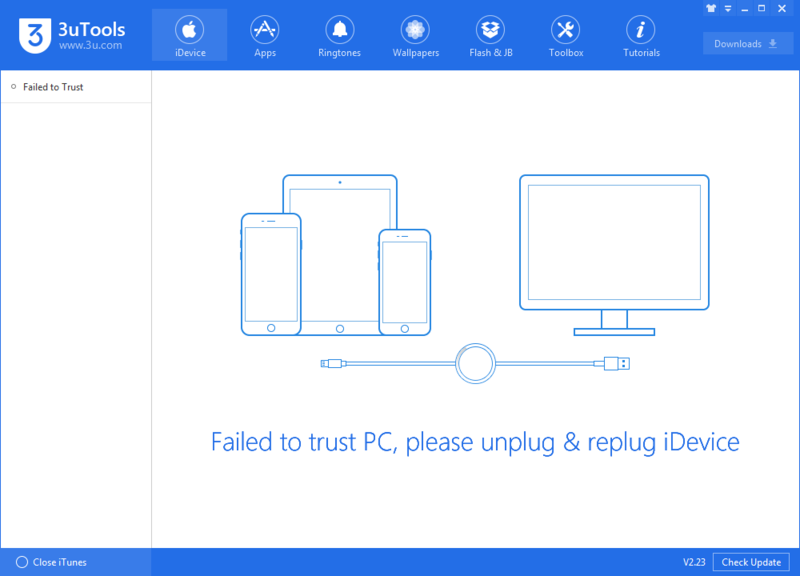 Even though replug iDevice to PC repeatedly, 3uTools still fails in connecting iDevice with error "Connection Timeout". Please keep reading to figure out how to fix it. If any above mentioned situation exists, you are suggested to change to a new geniune cable or plug in the backward USB port. If the problem persists, you can try another computer. 2. Click "Repair Driver" as the picture below. 3. iDevice's free storage should not be less than 200M. 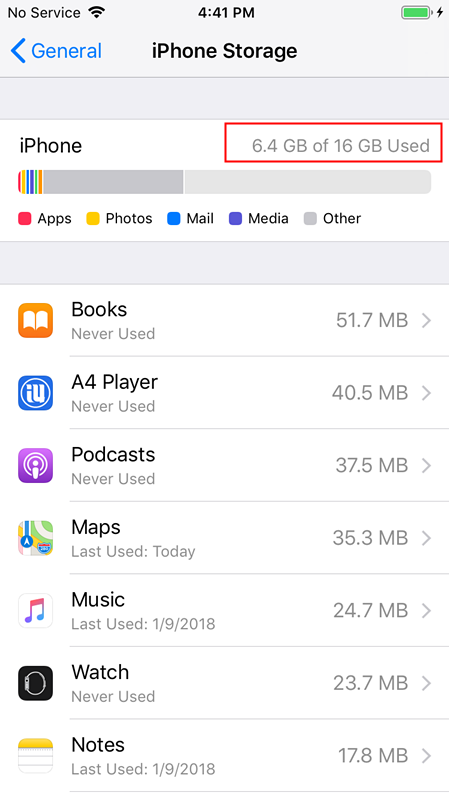 Head to Settings > General > iPhone Storage to check the storage. 4. This is not ideal, but if none of above tips fix your issues, the last resort is to turn off Windows Firewall. 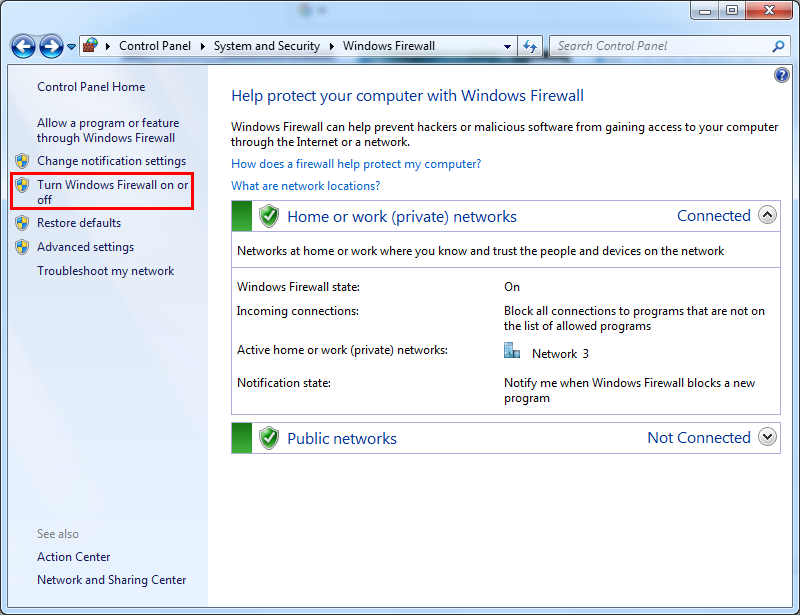 Control Panel → System & Security → Windows Firewall, then select "Turn off Windows Firewall". 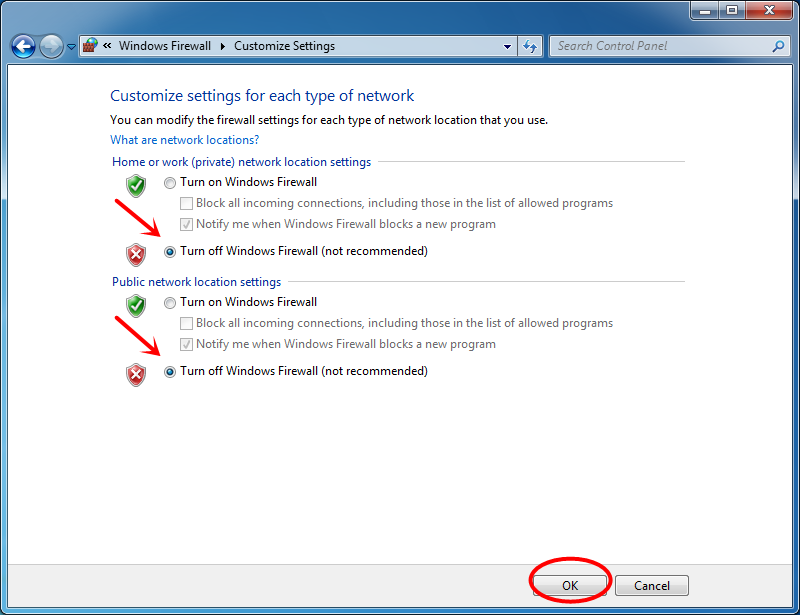 When you connect your device with a computer for the first time, an alert asks whether you trust the PC. 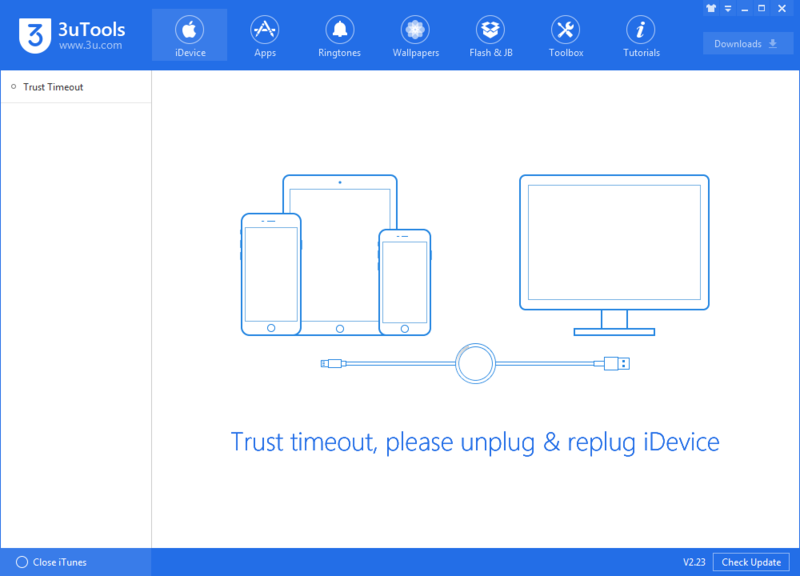 If you accidentally tap "Untrust" or forget to tap "Trust" in time, 3uTools will prompt "Failed to Trust" or "Trust Timeout". Solution: To fix this, you can replug your device and then tap "Trust" on your device. If you enable USB Accessories in iOS 11.4.1 or later, your device should have this pop-up since your iPhone was locked over one hour. And it probably one of the reasons caused you failed to connect your device with 3uTools. Solution: Just unlock your iPhone and tap "Trust". The toggle next to USB Accessories is off by default. 3uTools V2.31 brings Wi-Fi connection to users, check here to enable it! You could turn off the feature through Settings-- select Face ID & Passcode (or Touch ID & Passcode if not using an iPhone X). Then, scroll down to the Allow Access When Locked section.